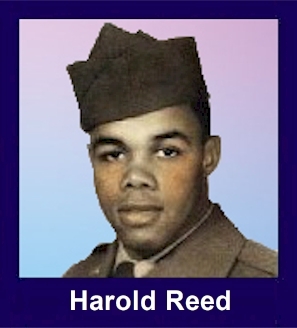 The 35th Infantry Regiment Association salutes our fallen brother, SGT Harold B. Reed, who died in the service of his country on July 3rd, 1966 in Pleiku Province, Vietnam. The cause of death was listed as Small Arms/AW. At the time of his death Harold was 34 years of age. He was from Washington, DC. Harold is honored on the Vietnam Veterans Memorial at Panel 08E, Line 128. The decorations earned by SGT Harold B. Reed include: the Combat Infantryman Badge, the Bronze Star with V, the Purple Heart, the National Defense Service Medal, the Vietnam Service Medal, the Vietnam Campaign Medal and the Vietnam Cross of Gallantry with Palm Unit Citation. For heroism in connection with military operations against a hostile force in the Republic of Vietnam. Sergeant Reed distinguished himself by heroic actions on 3 July 1966 while serving as a squad leader in the 3rd Platoon, B, 1/35th Infantry. While moving his squad to reinforce a part of his platoon already engaged, his squad was brought under intense automatic weapons fire from a dug-in company of NVA. Realizing the danger to the men in his squad, Sergeant Reed moved aggressively against the enemy positions and received a sever wound in the hip. Refusing aid for his wound and refusing to be evacuated because it might jeopardize the lives of his men, he continued to bring fire against the enemy. As a result of his unselfish valor, Sergeant Reed gave his life on the battlefield. This outstanding display of aggressiveness, devotion to duty, and personal bravery is in keeping with the highest traditions of the military service and reflects great credit upon himself, his unit, and the United States Army.